The past few years have been a roller-coaster for restaurants in central Brussels - and has forced many of them to find creative ways to make economies while maintaining quality. Situated in the Saint Hubert Royal Galleries, what was originally called Hulstkamp was a café where people like Victor Hugo, Rimbaud, Verlaine and Baudelaire hung out with social rebels and drank genever while reimagining the world. 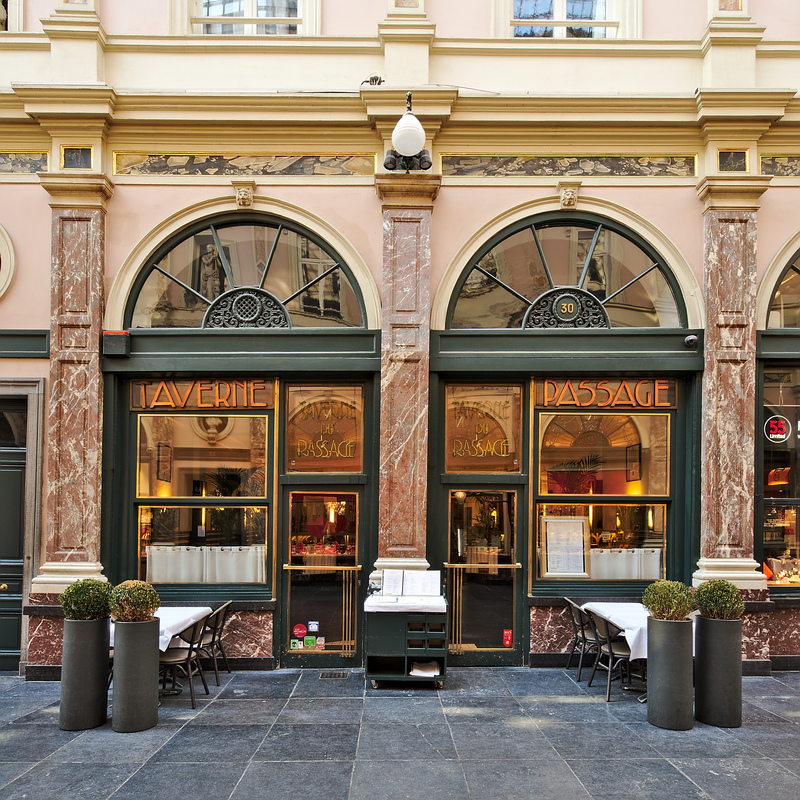 Then in 1928 it became the Taverne du Passage, the best of Brussels cuisine with a celebrated wine list served in an elegant Art Deco space - and 90 years later it is still there and still impressing regulars, other locals and tourists. But behind the scenes it's been tough for owners Yves Deflandre and Olivier Barry. Under the umbrella Accueil et Traditions they own Taverne du Passage in the gallery, Vincent in the Ilot Sacré and four restaurants on the Grand-Place: the two Kelderke, the Rose Blanche and the Brouette. In August, they filed for bankruptcy reorganisation. "Everything was fine until 2015," Deflandre explains. "Then after Paris we had the Brussels lockdown and we lost 40% of our gross income. We were on our way back up in early 2016 when we had the Brussels attacks and there we lost 35% of our income. "Such heavy losses are not sustainable and we had to restructure. Our staff went from 140 to 80. We closed in the afternoons - we had to react." Deflandre adds: "We started making a profit again in late 2017. But in the meantime we were behind in our social security payments, VAT, and we were presented with some hefty fines. We didn't really want to sell some of our establishments - we've been investing in Brussels for over 25 years and it would have been a shame to sell." The reorganisation plan, which was approved by the courts, has been endorsed by the Belgian state - which means the restaurants will benefit from some tax reductions. One item in the plan is the idea of a common kitchen. "We’re not talking about firing most of our chefs and having everything made in a big central kitchen," Deflandre says. "For instance here at the Taverne, our chef has been here almost 40 years, he makes all his stocks himself, he makes the paté of hare in house, none of that is going to change. At Vincent they will continue to grill the meats to order. "Nothing is going to compromise that quality. But we did have to come up with creative ways to economise and there are economies of scale which won’t reduce quality, for instance, for the four restaurants on the Grand-Place, dishes like carbonnades or croquettes can all be made in one place." 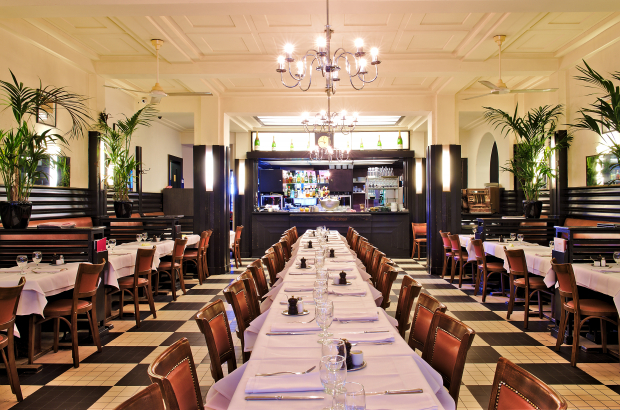 Working with Julien Van Beneden, who runs Vincent, they decided to organise a crowd-lending campaign with a goal of €60,000 to re-do the restaurant's back room, which was dark and cramped - a far cry from the front dining room which is a breath-taking tiled space. The campaign raised €100,000 and the remodel is under way. “In this world one has to be creative to be successful," Deflandre concludes. "I think that the introduction of smart tills is going to make things better. Almost all the cowboys are gone - people would open restaurants and make their profits through undeclared income, now that’s over. "Now you need a good concept, a good business plan and good products as well as creative thinking. Look at all the interesting places that have opened recently. In fact with everything going on one problem is finding the best personnel." To celebrate its 90 years, the Taverne du Passage is offering a special four-course menu for €54.50. Included in the menu is the paté of hare as well as a house made baba au rhum. Stop charging for WATER, stop charging for the BATHROOM, charge less for COFFEE, and offer large cups of coffee (North American Style)....it's what EVERYONE wants...and look closely at your menu prices also. and...STOP telling people you don't accept cash, that is really DUMB...( and stop lying to people and giving them this ridiculous story about not accepting cash because of hygiene.) and...once again...look at your menu prices and your entire business model...I think that many restaurants have their "heads in the sand"...give people what THEY want, NOT what you want to give them ! and lastly...in Europe when you order food or drink you have "bought the table" for the evening....find a way to get people to leave after they have finished their meal...(like they do in the real world)...it may be rude by European Standards...but..."business is business." You might want to go back where ever you came from. You obviously are not happy being here. Wow - so much anger! The comment regarding coffee is just so laughable! My god. An American in Europe.